Keep us on free radio! Welcome to the Collectors Page. Completists and vinyl enthusiasts are our kind of people! 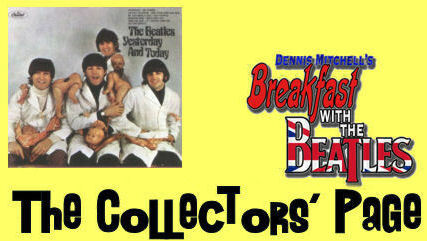 While "Dennis Mitchell's Breakfast With The Beatles" is not a buy-and-sell marketplace, we do offer a few resources here for buying or selling Beatles merchandise and memorabilia. Collecting is fun! We wish you luck in your quests and searches. All original content copyright 2019 Pacific Prairie Productions. All Rights Reserved.